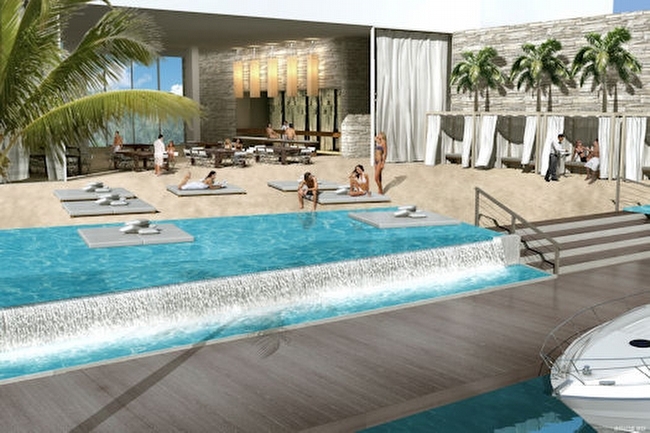 400 Sunny Isles is a highly anticipated development in exclusive Sunny Isles Beach. It will be comprised of 2 identical towers 20 stories high with a total of 230 residences in 2 and 3 bedroom configurations. 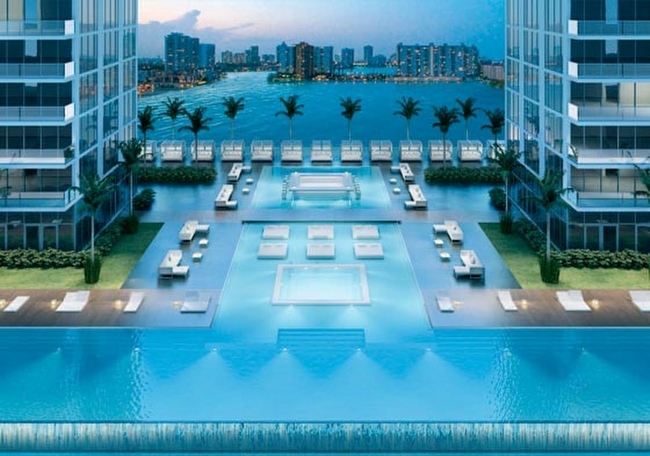 Located on the Intracoastal waterway and bay in Sunny Isles Beach, 400 Sunny Isles is expected to be complete in 2014. 400 Sunny Isles will have a number of floorplans to choose from, from penthouse to loft, to condominium, and all have incredible bay views. Unlike the oceanfront properties in Sunny Isles 400 Sunny Isles offers a 230 slip marina accommodating yachts up to 100 feet long. Other amenities include infinity edge pool, spa with three waterfall Jacuzzis, beach area with bistro style restaurant, state of the art fitness center, and 24 concierge and valet. Residences feature luxury finishes and amenities including soundproofing between units, flow through floorplans with floor to ceiling windows, imported flooring and cabinetry, and designer appliances and fixtures. Residences and the property have unique finishes that differentiate 400 Sunny Isles from other developments in Sunny Isles in a most beneficial way. 400 Sunny Isles is in Sunny Isles Beach which is conveniently located in between Fort Lauderdale and Miami Beach. It is short walk from Oleta River State Park where fishing and bike trails are bountiful, and a walk to the beach. Sunny Isles Beach has an array of gourmet and casual dining options as well as boutique shopping. If you are looking for luxury shopping the mecca for the elite in South Florida, Bal Harbour is just a five minute drive to the south. The Miami International Airport and the Fort Lauderdale International Airport are both under 30 minutes. 400 Sunny Isles is likely to be a destination for those who have nautical pursuits and elegant taste.